Wednesday is a Fed Day. Fed Days have historically shown an upside tendency. 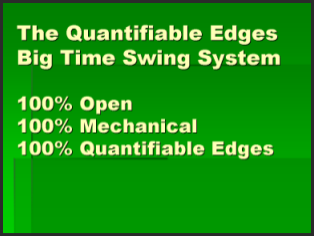 I have documented this tendency in great detail over the years, with the most complete documentation coming in The Quantifiable Edges Guide to Fed Days. 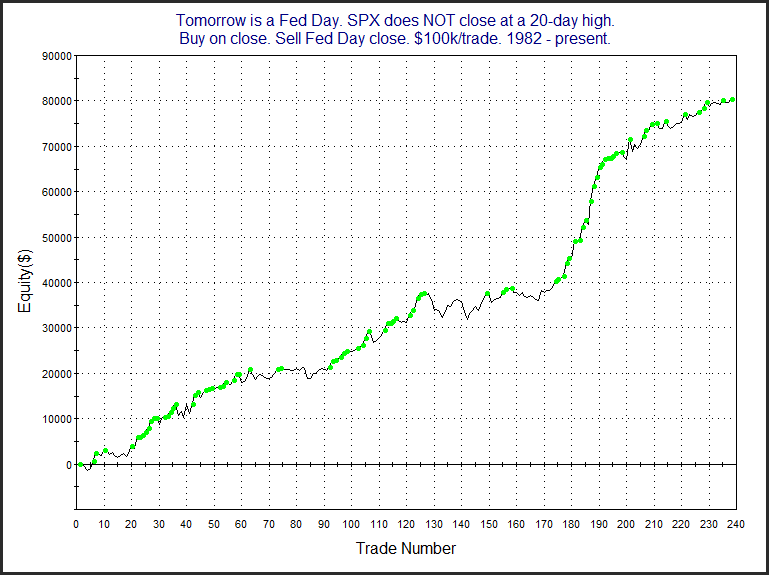 Based on what the market did Tuesday, this does not seem to be the most favorable Fed Day setup. A big reason for this is that SPX closed at a 20-day high on Tuesday. 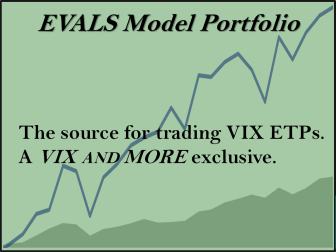 Fed Day bullishness has often occurred when a Fed announcement has helped to alleviate market stress. When the market closes at a 20-day high, it typically means there isn’t a lot of worry present. Under these circumstances, the upside inclination has also not been present. 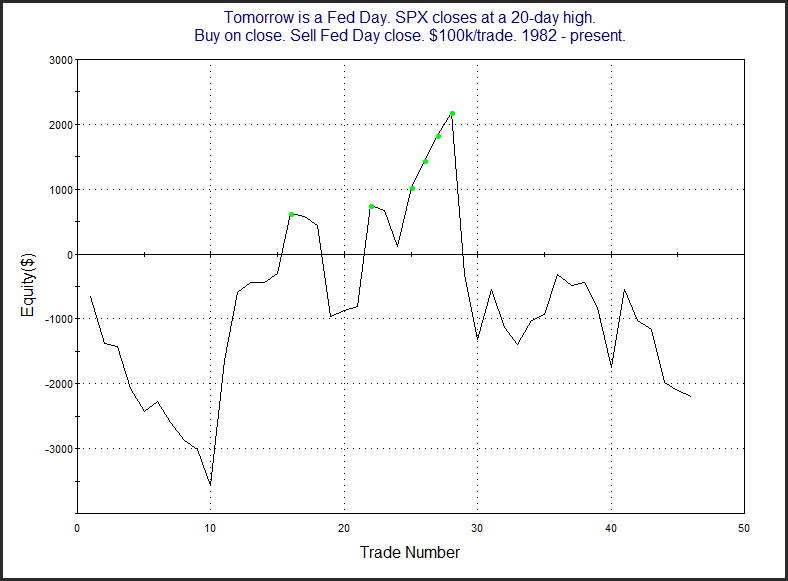 Below are charts that compare Fed Days that close below 20-day highs to those that close at 20-day highs. 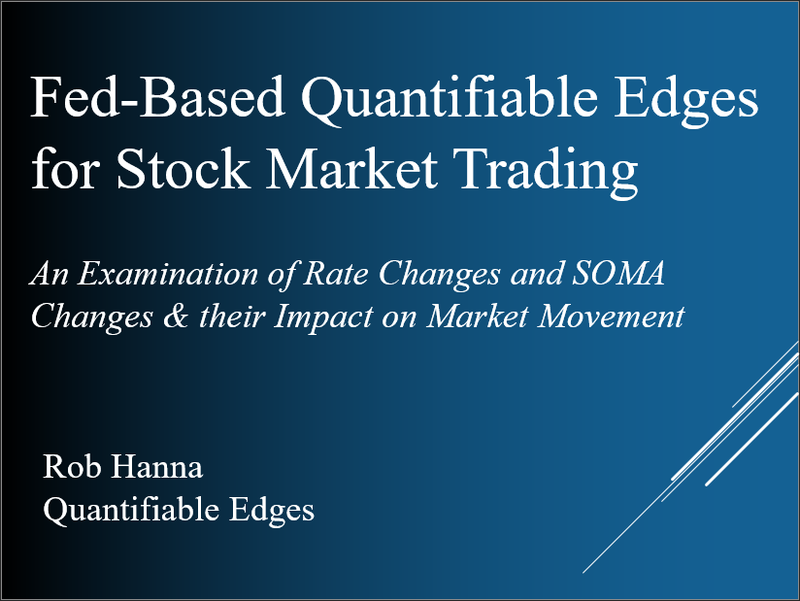 The new high on Tuesday appears to eliminate, or greatly reduce, the bullish Fed Day edge.